This is the third and the last part in the anklet design inspiration ideas Iam writing . Read part one and two here and here. If you have a beach honeymoon planned then you got to put your best foot forward and make sure your foot is at its stylish best with these anklet designs which will go well with the beach and honeymoon themed looks. Let your feet to the talking in your photos while you busy yourselves in getting some candid shots. Fringe is the raging hot new trend and wearing it as your anklets is the coolest way to go! This leather anklet with fringe detail give a bohemian vibe and is perfect to spice up your beach honeymoon look. On the beach shells are the best accessory to flaunt. 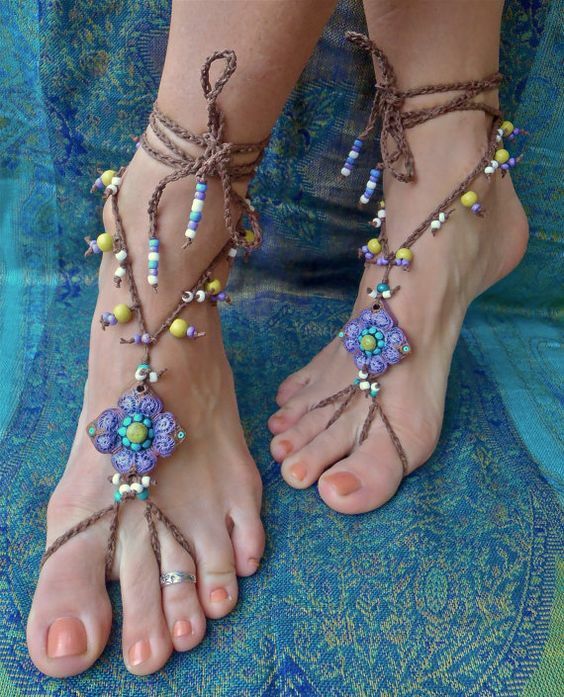 Wear a pair o shell anklets and unwind the free spirited you. 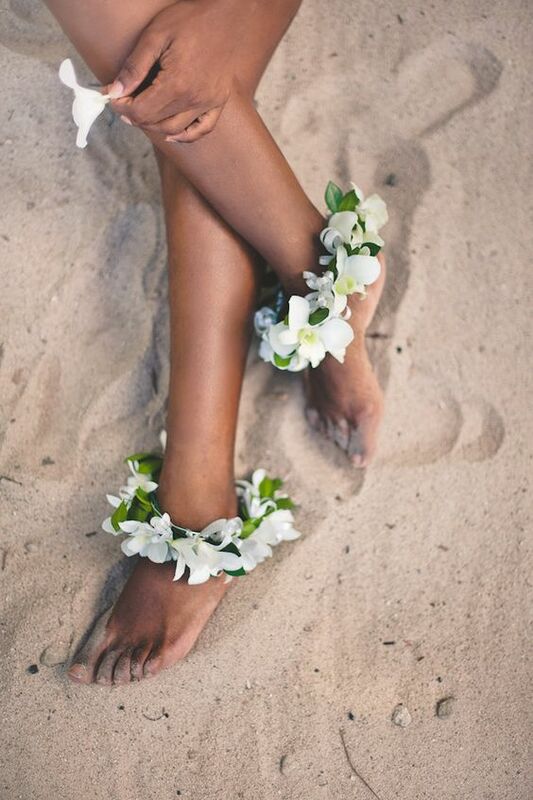 Floral anklets on the beach are fresh , fun and super comfortable way to glam up your feet. Romantic and unique, people are going to definitely stare at your honeymoon photos if you get some with this accessory on! Which anklet do you think you will wear on your honeymoon?